1. The White Sox requested waivers for Derek Holland to grant him his unconditional release. It’s a sad result for a clubhouse leader who has been very candid about his struggles. 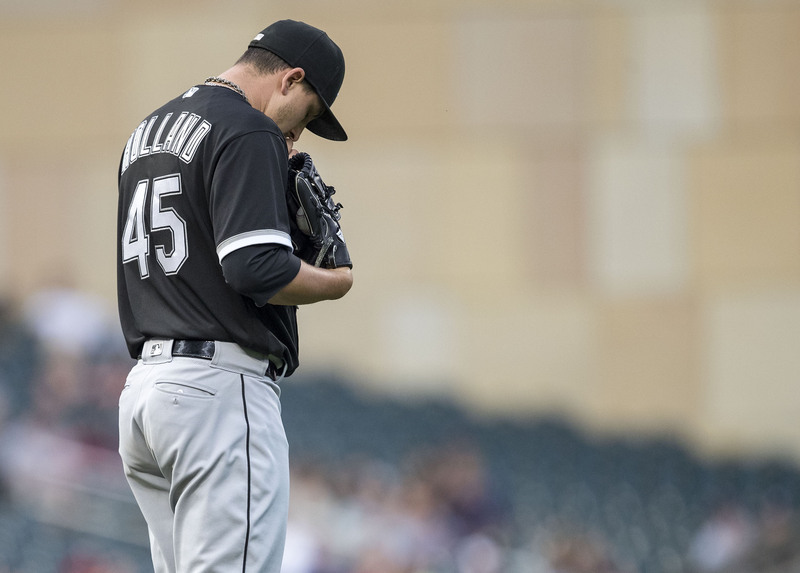 Brought in on a one-year deal to rebuild his value, Holland likely thought the White Sox would be the best possible fit given their track record on both reclamation projects and pitcher health. After all, Holland had been a well-above average pitcher throughout his mid-20s and doesn’t turn 31 until this winter. For the first month or so of the season, it looked like a very cagey signing for both organization and player. Through six starts, Holland had a 2.02 ERA, and although there was certainly luck involved, he represented a potential bounceback candidate who might fetch something good at the deadline. It’s been a nightmare since, as over his last 100 innings, Holland has pitched to a 7.70 ERA while opposing batters hit .322/.417/.595 against him. For reference, Mike Trout is a career .308/.411/.567 hitter. He didn’t look much better in relief and evidently enough was finally enough. One wonders what options will be out there for Holland this offseason, but I’d expect a minor league relief deal or NRI will see him in the majors again at some point next season. It could be that he simply cannot handle a starter’s workload anymore and preparing to pitch all season in relief could yield several more years of effective work. 2. In happier news, the White Sox called up Jace Fry from Double-A Birmingham. A 3rd round pick out of Oregon State in 2014, Fry hasn’t pitched much—in June 2015, Fry underwent Tommy John surgery which was already his second. There isn’t a long list of guys who have gone on to have long careers after two such surgeries, and I believe an underrated aspect of a player getting his first surgery is that it means should another one be required he may be completely done. Prior to his second surgery, Fry was a potential starter, but all of his 2017 appearances have been in relief. Fry has generally pitched well when he’s been on the mound, and hopefully the workload out of the bullpen agrees with him, as he misses bats and at keeps the ball in the park. As a lefty, there is certainly plenty of major league work to be had if he can simply stay on the field. 3. In happiest news, Yoan Moncada has been reactivated after being placed on the DL with a bruised shin. One hopes he can pretty up his batting average before the end of the season, if only to mitigate some anxiety. If nothing else, he provides one more thing to watch in games where Lucas Giolito and Reynaldo Lopez aren’t on the mound.